Anyway, so it occurred to me that it wouldn’t technically be gorging myself on pie if I just made the pie filling, now, would it? Logic prevails! So I decided to try my hand at banana pudding. I’m not a big measurer. But I think this would be hard to ruin. So bear with my creative measuring! 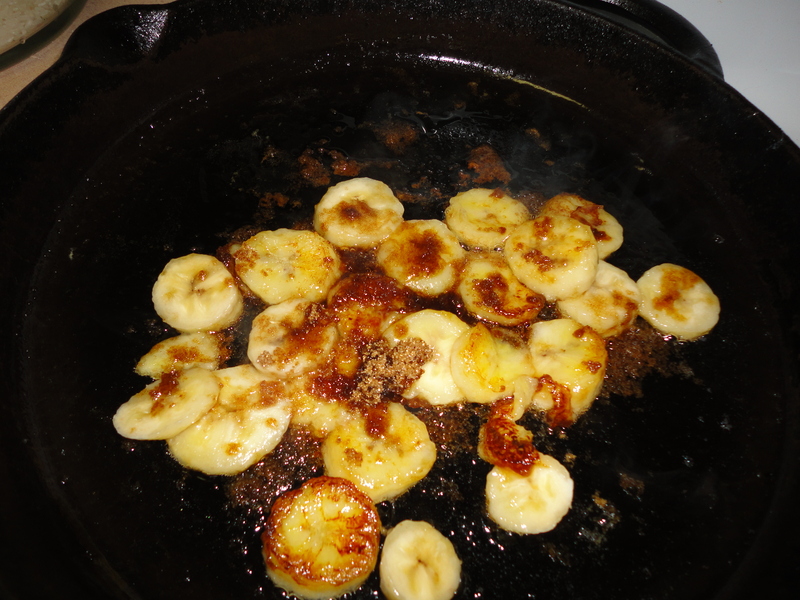 In the fry pan, I sauteed two sliced bananas with brown sugar. 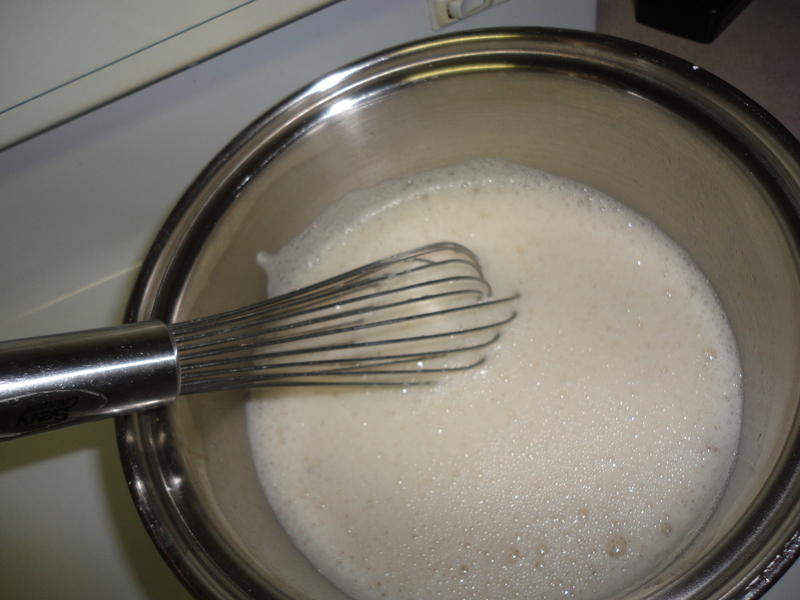 I whisked it up. 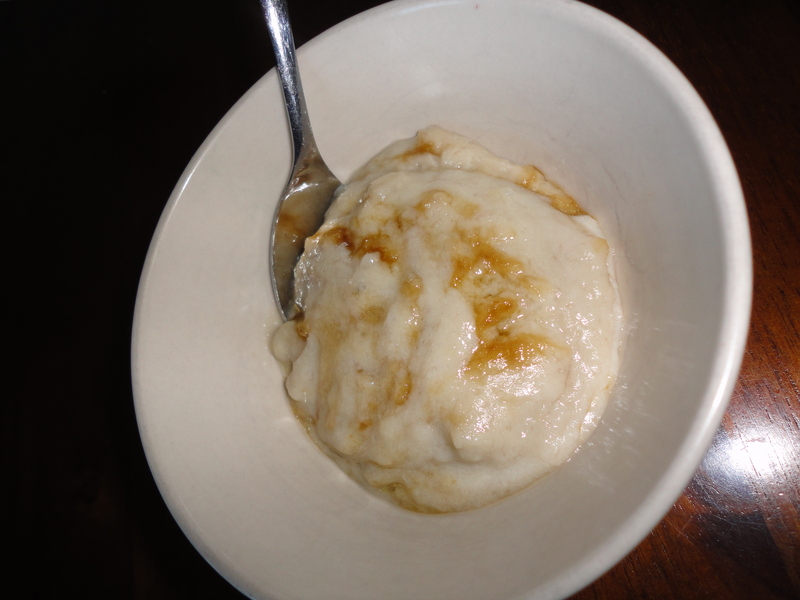 Turned on the heat, and kept stirring it while it warmed and thickened. 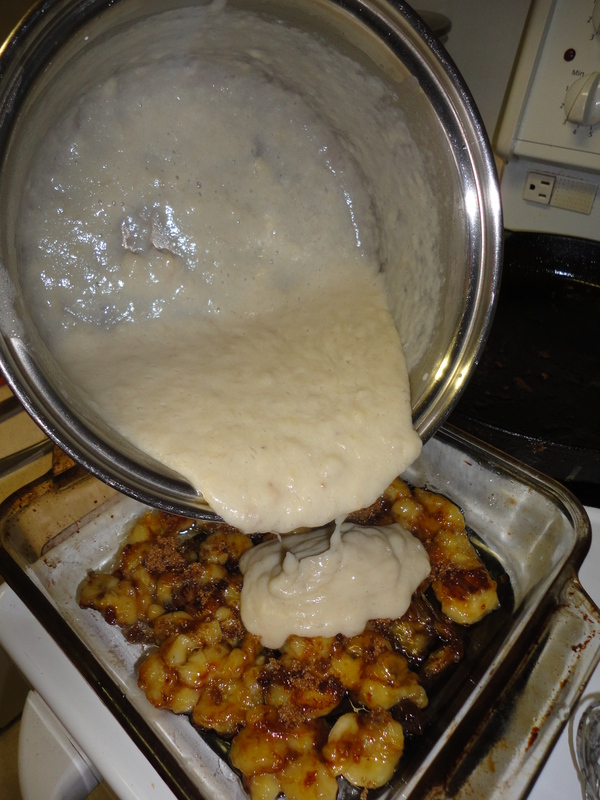 Then I poured the thickened pudding over the bananas in a pan, then put it in the fridge to chill.